Last weekend we held our very first big brain audio Maschine workshops in Berlin. It was also the first time we had workshops in wintry weather, with a blanket of snow and ice covering much of northern Europe. Unfortunately, this also caused problems for people who wanted to attend because of cancelled flights and closed roads. But we still managed to have two great groups of people from eight different countries, all with different backgrounds and types of experience. I could never have pulled this off without Mads Lindgren, who co-taught the course with me. Mads is a real virtuoso on Maschine and has really opened my eyes into the potential of it. Native Instruments calls Maschine a “Groove Production Studio” and although that is not wrong, it doesn’t really nail it for me, especially after working with Mads. 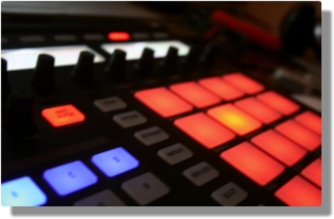 Maschine is much more of an instrument, a sort of control center that you play in your production or performance environment. Watching Mads plunge into a performance is more than impressive; it also makes you realize that Maschine is not just a piece of music software, not another sequencer, not even another MPC-type device. It is really a musical instrument, a playable and performable instrument. The one-day workshop format (from 10:00 am to 5:00 pm) turned out well, although that means you have to really pack the day with information. I’m sure we could have spread each workshop over two days, with even more production-oriented exercises and more discussion. For example, we could have certainly spent more time on using Maschine as a plugin. But all in all, everyone was happy with the workshops and what they learned. One thing I have noticed is that even people who have been using Maschine for a long time haven’t really “got it”; they think of Maschine as a piece of software that comes with a MIDI controller (“nice pads,” they say). They don’t put the hardware controller where it should be: front and center. 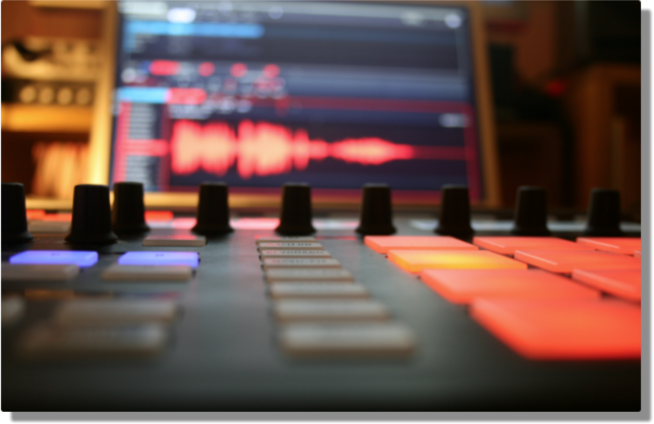 With the Maschine controller, you can do SO much without reaching for a computer keyboard or mouse, or looking at the computer screen. In fact, the fun really begins when you get away from the computer and its peripherals. You can do just about anything using the controller alone: navigation, browsing, sampling, editing, pattern making, effects tweaking, and so on. This is important because just picking up the mouse slows you down and makes your brain switch modes. You get out of the flow of music making. Keeping on the controller, however, you get into a state of kinetic flow, something that has a lot more to do with muscle memory and real playing than picking up your mouse and looking for a pulldown menu to fiddle with. Also, software music production tools have become so visually well-designed with lots of eye-candy that we sometimes forget to use our ears and just listen! Although most of the time was spent during the workshops focused on Maschine in the standalone mode, plugging Maschine into your favorite DAW also makes a lot of sense. We showed Maschine inside of Ableton Live, using the Maschine controller to pilot both the Maschine software AND Live, switching back and forth at will, with no lag and while playing. Really nice. 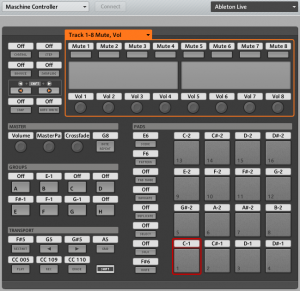 The Maschine controller template for Live is very well-designed and makes the hardware a good Live controller in its own right. Another thing that I’ve realized recently is that there is a whole lot that is not in the Maschine documentation. This is probably due to the ninja-like Maschine team at Native Instruments, who have created an intensive feedback loop between developers, designers, testers, and power users. Sometimes things go so fast, they just slip through the cracks and don’t make it into the current version of the manual. And sometimes there are buried features that even the deepest user wouldn’t notice unless they were moving along a very specific workflow. For example, step-sequenced effects and effect chaining just don’t hit the radar of most users, even though these are examples of use cases which add a number of creative possibilities to any serious Maschinist’s bag of tricks. On Sunday night when both workshops were over, Mads turned to me and said: “You know, I could do this all the time; you get SO much back from the people you teach!” And he’s right: once again, we had two really fine groups of people who were not only hungry to learn, but eager to share.